Who can you trust? We’re talking about a beloved member of your family here, and nothing – nothing – is more important than your darling Peanut’s safety and comfort. And the real problem isn’t frustration, it’s the fact that relying on inaccurate information or misinformed opinions can cause your pet’s overseas relocation to go astray. As pet parents ourselves, we cannot imagine any more worrisome scenario. That’s why we’re here to help, with tips and inside advice straight from our decades of professional experience successfully transporting pets and other animals all around the world. Many countries will not accept potentially dangerous dogs such as pit bulls. Not every breed of dog is a good match for every climate. The customer we quoted above was moving from England to the UAE, so “very hot weather” was certainly a consideration. Had her dogs been Alaskan Malamutes, she and her husband might have made a different decision. The opposite is true as well – dogs native to very warm climates are not well-suited for extreme cold. This doesn’t mean you cannot take Peanut, but it is something to think about. Age and chronic health problems can also affect a pet’s ability to travel safely or handle the stress of a major upheaval. That said, many older or health-challenged cats and dogs relocate long distances safely and comfortably. You and your vet know Peanut best. Snub-nosed dogs and cats such as boxers, bulldogs, and Persians naturally have more difficulty breathing, and for some the stress of air travel can exacerbate the problem. Airlines have differing rules about where and when brachycephalic pets can travel. In general, though, air travel is very safe for pets. So unless Peanut has a problem that cannot be overcome, relocating overseas with your pet will be a no-brainer for you, too. If you’re moving from the United States or the United Kingdom, your Peanut is used to receiving top-of-the-line veterinary care. It’s easy to obtain everything you need for her, from food and medications to toys and grooming appointments. But what will be available in your new country? And here’s some more good news, especially if you’ll be learning a new language in your new country. Many veterinarians who live and work in other countries received their medical training in the US or the UK. So chances are excellent you can find a veterinarian who is not only skilled but speaks English. Here are some tips to help you find a new vet before you even leave your current home. Moving your stuff internationally is mostly a matter of contacting a shipper and then deciding what to take. Not so simple with pets. Living creatures require more than a container and shipping label. And it’s up to you to make the logistical arrangements (unless you hire a professional pet relocation specialist). Paperwork – a health certificate and rabies certificate at the very least, perhaps a pet import permit and extra document certifications from the USDA or your destination country’s embassy. Is Peanut microchipped? If not, she’ll need that before you can complete any paperwork. Vaccinations, tests, and treatments. Just because Peanut has a valid rabies vaccination doesn’t mean that will be enough. She may need a rabies titer test (a blood test that confirms the rabies vaccine is active in her body), which takes six months. She may need one or several other immunizations, or additional tests or treatments for pests or diseases. Plan on visiting your vet more than once. Exactly what will you need? Every country has its own list of requirements to import dogs and cats. You cannot afford to guess or omit something, because Peanut will be refused admission. Learning what your new country requires should be Priority #1 as you plan your move. Peanut will need airline reservations, of course. But the itinerary that is safest, most comfortable, and most efficient for her might not be what you would choose for yourself. Even the airline might be different. Every airline has different rules about pet travel, and it can be difficult to read between the lines with their policies. You don’t have time to call every airline that might serve your point of departure and destination, and you might not get the help you need anyway. Plus not all airlines are pet-friendly. This is one area where consulting a pet transport specialist can be a real life-saver. And speaking of reservations, some countries (Australia is a good example) still require a quarantine stay before Peanut can be released into your waiting arms. In most locations, though, Peanut will be able to sidestep quarantine thanks to her good health and perfectly-completed health documentation. Now, about that shipping container and label we mentioned earlier – dogs and cats do need a specialized, airline-approved travel crate. Peanut’s everyday carrier or fold-up pen isn’t nearly sturdy enough or designed to protect her from nose to toes. We strongly recommend getting her crate right away, so she can become familiar with it. This is just one way you can help her get ready to move overseas. What Can Trip You Up? Multiple pets. Does your furry family consist of more than one pet? Of course you want them to travel together. Our customer Sheila whom we quoted at the beginning – the one moving to Abu Dhabi – had five dogs. And maybe you do, too. The majority of American households with pets have more than one. The hitch for relocating overseas with your pet(s) is that airlines limit the number of pets you can ship. Usually that number is two. They won’t budge for you, but our pros here at Starwood can circumvent that for you, just as they did for Sheila. The weather. To protect pets, airlines will not allow them to travel when it is very hot in summer (over 85o F) or cold in winter (below 45o F). While the reason is easily appreciated by pet parents, the reality can throw Peanut’s travel plans into a tizzy. That’s because the weather embargoes apply to her city of departure, her destination, and any stop in between. The toughest challenge? Airlines make embargo decisions on a day-by-day basis. Peak travel periods. Reservations rill up faster during summer, spring break, and the year-end holidays – for pets as well as people. If your move will happen during a peak season, you’ll have to start making plans even earlier to beat the rush. Peanut will need to get to the airport, so at least a short part of her trip will be via ground rather than air. If you live hours away from a sizeable airport, she may need a longer ride. If she’s a snub-nose breed, you may want her to travel by ground for as much of her trip as possible – until she literally has to head overseas. Here at Starwood, we provide ground transportation services that dovetail with our air-based services, to ensure pets have a streamlined experience. The basics of good manners for pets and their owners remain the same no matter where you go. Pets shouldn’t be allowed to roam free, poop should be picked up, barking or other ongoing noise is not appreciated. Beyond that, though, pet-iquette expectations and laws can be very different from one country to another, thanks to cultural differences. In some countries, just finding a suitable place to live that will allow your dear girl could be tricky. On the plus side, you’ll want to research how and where you and Peanut can have fun together in your new country. And how to protect her from dangerous flora or fauna. Obtain her travel crate right away. We mentioned that earlier but it bears repeating because this is the single-most important way you can help her feel calm in transit. Use treats and play to help her get acclimated to her travel home. Do not sedate her prior to departure. This might sound kindly, but a drugged dog or cat can be more frightened because they feel woozy and cannot properly control their muscles or balance. No one wants that! There are better ways to help her relax. Inject some fun into your preparations. Maintaining Peanut’s regular routine for feeding, etc. is good. But budget extra one-on-one time to play and cuddle. Moving may be chaotic, but your presence is her strongest reassurance that all will be OK.
Start early, because the to-do list is long. Make a checklist of every task, and use a calendar to track the deadlines. You can’t possibly keep it all in your head, especially the timeline associated with obtaining Peanut’s health documentation. Many of the requirements have to be completed within specific windows – not too far in advance, not too close to departure. double-check Peanut’s preparations. You can catch anything you might have overlooked and take a deep, calming breath of relief. You’re ready. She’s ready. It’s all good. Make yet one more list, for her departure day. This is your pre-flight check. Yesterday, you double-checked to be sure everything is ready to go, today the list is mostly to help you relax as you bid adieu to Peanut. When you see her next, you’ll both be in a new place far away. And, finally, the Big Moment has arrived! You’re about to be reunited. Every pet and owner have a special way of greeting one another after they’ve been separated, but an international journey can be long, and we know you’ll suffer far more than Peanut from separation anxiety. So we’ve even created a list of tips on the best way to greet her after her journey. Now to get out there and get after it. Being the practical FurMom or FurDad you are, you’ve already planned what you and Peanut will do the first day in your new country. You know, check out your new digs, take a leisurely stroll around the balcony, the yard, the block – it’s a sniff-fest for her, a chance for you to get the lay of the land. Be sure to set out her food and water and bed right away, so she knows for sure she’s home, even though everything else is new. It’s our job to think of everything. And, honestly, no matter how meticulous you usually are, preparing for a pet’s international move is a bear. Sorry to say, the chances are good that you might overlook some little detail – or fail to ask every single question you should. We don’t think you should have to worry about all that! True, hiring a pet travel specialist does cost more. But you’re saving time (a lot of time) when you have myriad other things to attend to for your international move. And you’re getting peace of mind that would otherwise elude you. You can be confident, knowing that everything will be just right for Peanut’s move. Besides, some countries such as Australia require imported pets to arrive under the auspices of a commercial animal transport company. So even if you wanted to handle all the details yourself, you could not. Obviously, then, teaming up with experts is a definite tail-wagger. 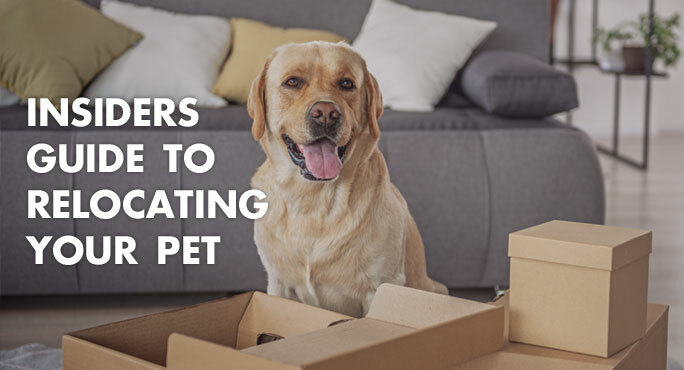 But how do you choose a pet relocation specialist? Keep your goal in mind: for you, it’s all about your precious Peanut. 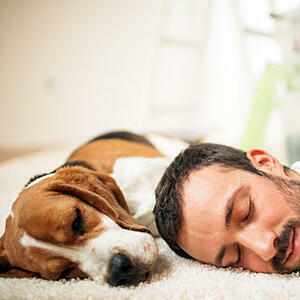 You want a relocation company that is passionate about your pet. It’s reassuring to know we are experienced professionals. And that hundreds of thousands of pets fly safely to and from overseas destinations every year. But the one pet that matters most is yours. That’s why it is even more reassuring to know that we treat each four-legged client as if she were our own dog or cat or ferret or . . . Pets that travel under our auspices receive loving attention as well as attention to detail. And isn’t that what you want most? You can’t be there for every moment of Peanut’s international journey, so we’ll be there on your behalf. We’ll even keep you updated on her progress (complete with photos) so you’ll know she’s doing just fine as you get closer to your reunion. No wonder it’s an easy decision. If you will be relocating overseas with your pet, we want you to have the big picture, and the full details. Because we have pets ourselves, we know from our hearts just what your animals mean to your family. And how much you worry about them. We believe that, when you have all the facts plus useful insider tips, you will feel confident instead of worried. Peace of mind is priceless in any event, most especially when it comes to your furry friend’s safety and comfort. We’re here to help. The sooner you call, the more our pet travel pros can do to ensure your precious pet enjoys the smooth, efficient journey she deserves.